We're all looking for the best lineup each week. For week 10 we have several high over under's to work with. 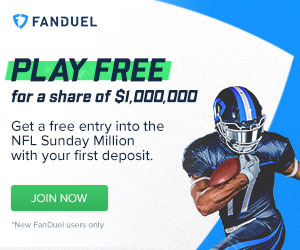 On FanDuel I'm looking for high yardage WR's that should be playing in a high scoring games. I use my WR Heat Map to identify prospects like J.J. Nelson. When picking a QB and team defense I like to use our sack ratings, here is the week 10 sack ratings. The sack ratings like MIN and Washington a lot. I think the Washington team defense needs to be in at least 1/4 of your GPP lineups. Last but not least you want to take into account week 10's ownership percentages. Try not to follow the herd so you can distinguish your lineups from the crowd. Finally, if you like my work and think data is import when creating lineups, you should try the best optimal lineup tool. Made for me, by me, and available to you! 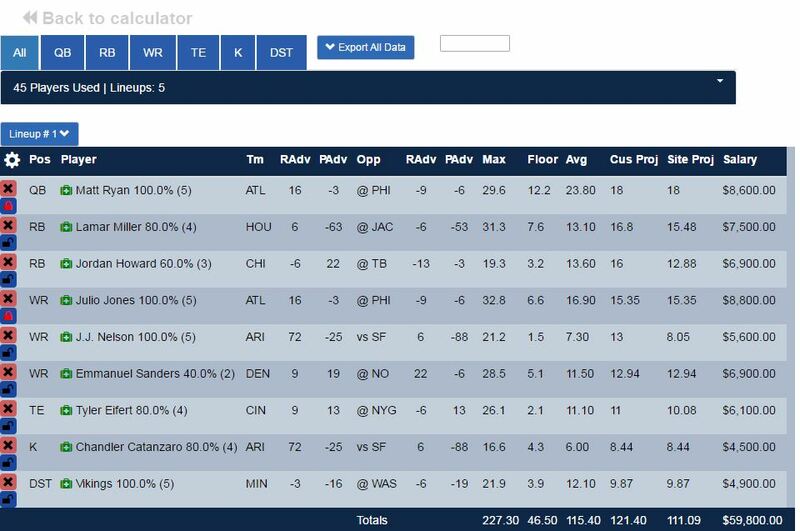 Optimal Lineup for GPP tournaments on FanDuel in week 10.